Nawal grew up in Chantilly, where she began swimming with Coach Phil at Armfield Farm in the Colonail Swim League. 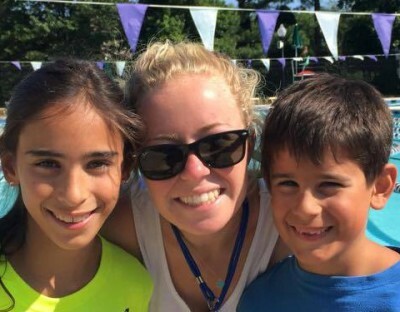 She swam for Mason Makos and the Potomac Marlins, and swam through her senior year at Chantilly High School. Nawal coached in the CSL for eight years, with her first three years as Coach Phil's assistant. She then spent five summers as the head coach of Armfield Farm. She also has experience coaching in the VHSL, where she was able to help lead the Robison's High School's Men's team to a State Title in 2013 with Coach Phil and Coach James. 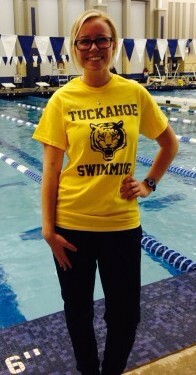 This past summer, she was the head assistant coach for Tuckahoe, a Division 1 NVSL team. Additionally, she coaches field hockey and lacrosse at the high school level. Nawal graduated in December 2015 with a degree in Health and Physical Education from George Mason University and is a teacher in Fairfax County.